One of my favourite memories about Christmas is that every year on the first weekend of December, we’d take out all the Christmas decorations from the attic and spend the rest of the evening putting up the tree, decorating the house with tinsel and mini Santa’s. It was a tradition that started the official countdown; once the tree was up, the countdown to Christmas Day began! 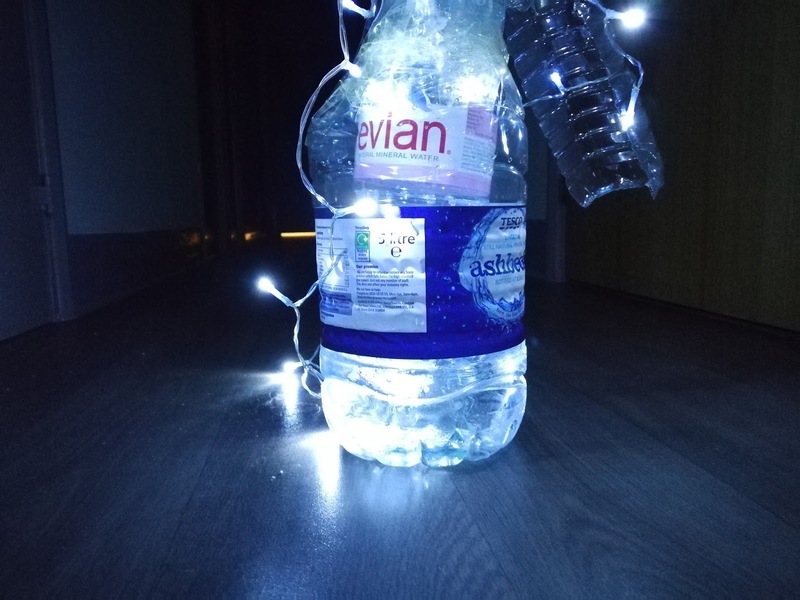 In my second Blogmas post, I wrote about how I was getting into the Christmas spirit whilst living in uni halls and did a little haul of all the decorations I had bought. But that wasn’t enough for me and I somehow managed to encourage all my flatmates to build a tree together. 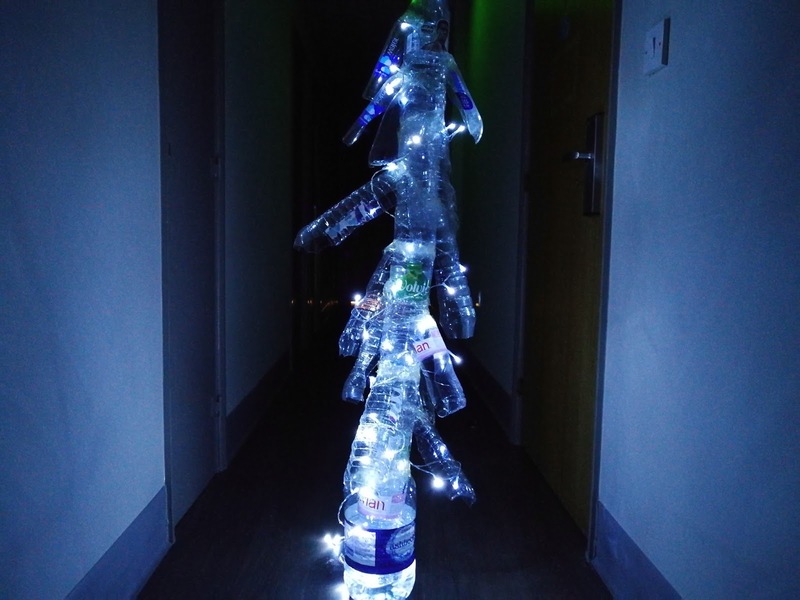 We only had two weeks left before we all went home and as we’re too poor to buy a proper tree, I thought it would be cool to make one out of all the plastic bottles. Since we’re all drinking bottled water (the tap water here is gross), it was the perfect thing to use. Our tree is probably the most student thing you’ve ever seen! It’s now sitting in the corner of our kitchen, with lights draped over it and it’s the cutest thing you’ve seen! In life, we’re not always given everything and I’ve always been taught to make do with what we’ve got. I know this tree isn’t the same and doesn’t compare to life’s problems but it’s an example of using what you’ve got and turning it into something positive. Anyway, I made a video of us constructing our magical and eco-friendly tree. Check it out below or watch it here.